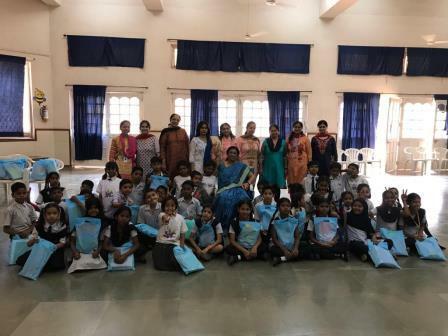 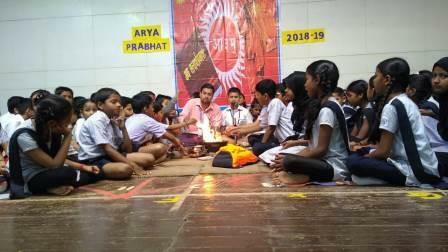 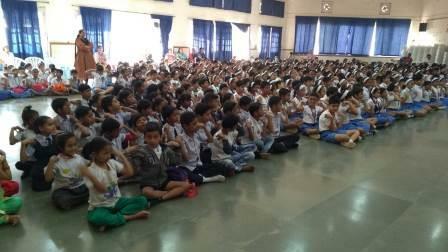 The students of STD 3-7 of AVM, JUHU experienced the happiness of many worlds when they set out to celebrate Special Friendship Day on 12th February’19, with their special friends from Spark a Change Foundation. 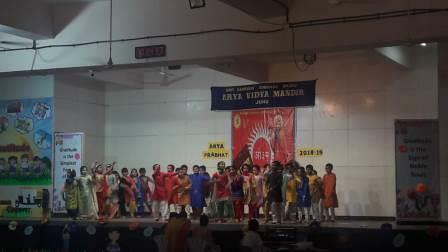 And what a celebration it was. 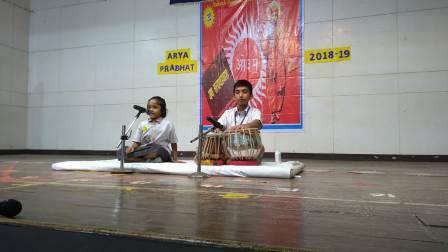 The pious Havan performed with their special friends ,in the spacious Marwah Hall set the mood for the day and up came the students of Std 6 & 7 with their ‘Bhajans’ inspiring the special friends to join in the melodious tune. 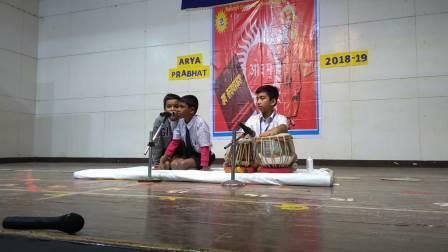 Not to be left behind, the students from Spark a Change Foundation too presented songs, to the delight of everyone in the Marwah Hall. 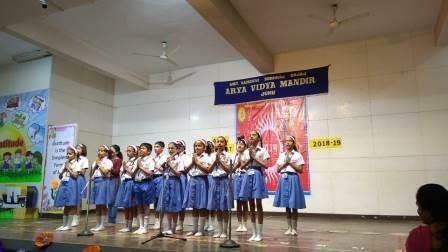 An animated film on the life and works of Swami Dayanand Saraswati Ji, to familiarise the students with the important role played by him in the upliftment of women and society was shared with the students. 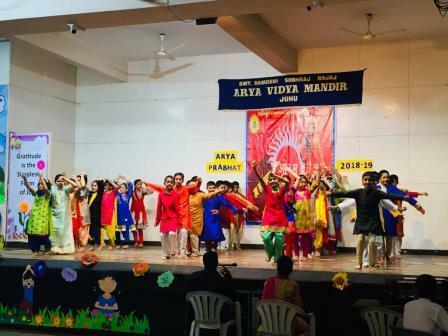 A fitting finale to the celebration was the extremely energetic Punjabi Folk Dance performance put up by the students of Std 3. 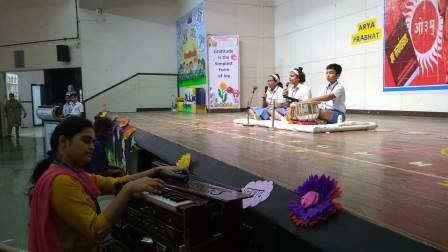 The Marwah Hall reverberated with peppy Punjabi songs as the students danced, putting their heart and soul into the performance. It was then time for some tasty food as the students of STD 3&4 treated their special friends to a sumptuous brunch of Puri, Chhole and Gulab Jamun. 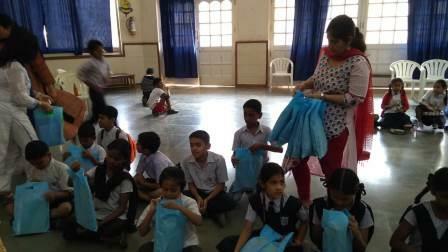 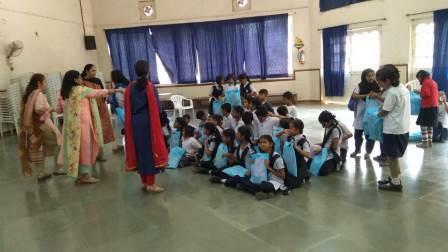 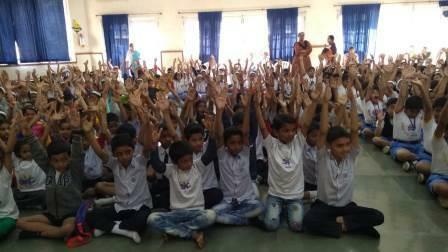 Our Principal, Mrs. Alka Agrawal joined the students in bidding goodbye to their special friends with gifts. 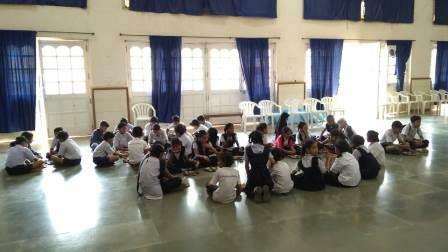 Promises were exchanged to meet again and continue to nurture the friendships forged today. 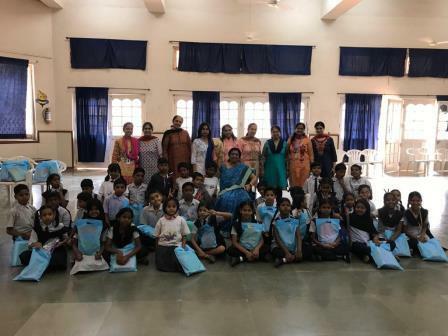 The event was coordinated by Ms Anita Gothwal (Facilitator) Ms. Shefali Umesh (Subject Head- Primary Section) Ms. Sharmila Bagchi and Ms. Anju Gupta.